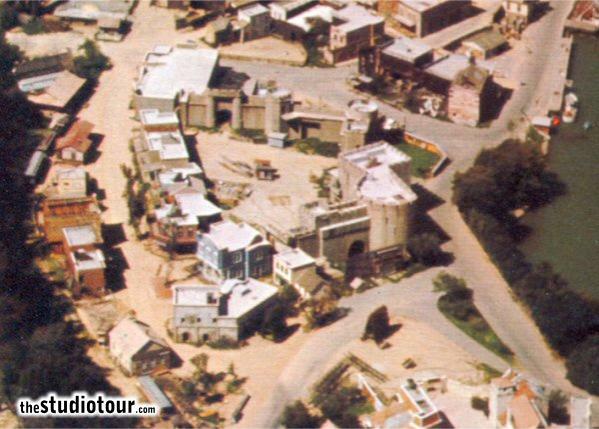 The tower set used to be immediately adjacent to Denver Street. 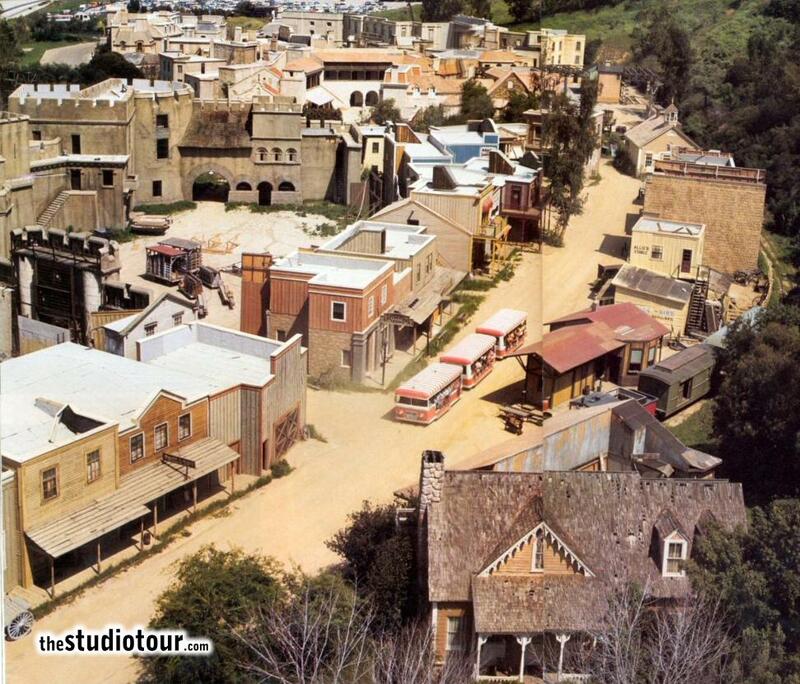 It was removed around 1988 for the construction of the Earthquake show building which has replaced it. 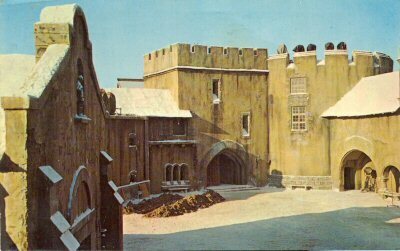 The set was built for Tower of London (1939) starring Boris Karloff, Basil Rathbone and Vincent Price. That film marked Vincent Price's horror film debut. 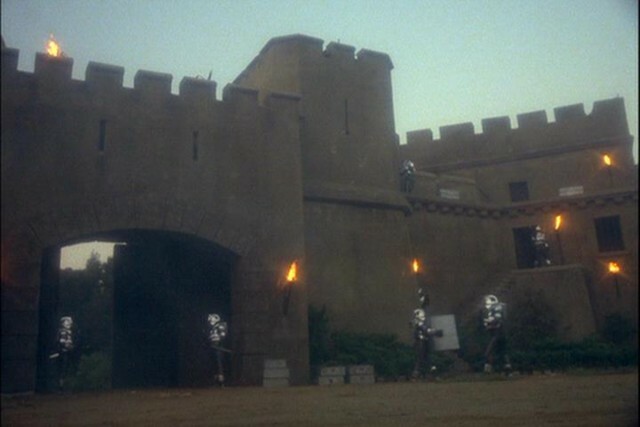 The castle also appeared as a concentration camp in Judgement at Nuremburg, starring Spencer Tracy, a Scottish castle in McMillan and Wife, an amusement park in Murder She Wrote, starring Angela Lansbury, and even a village on a distant planet in Buck Rogers in the 25th Century. It also appeared in Airwolf, when the helicopter of the title made a flying visit. 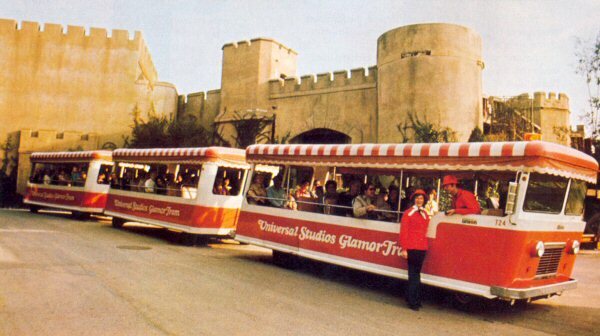 GlamorTram on the road adjacent to Park Lake with the Tower of London in the background. Sketch plan of the Denver Street area prior to 1988, showing the position of the Tower set. The castle set occupied by Cylons from Battlestar Galactica. The Tower of London castle set on the backlot was constructed for this movie. It remained until 1988 when it was replaced by the Earthquake attraction for the Studio Tour. 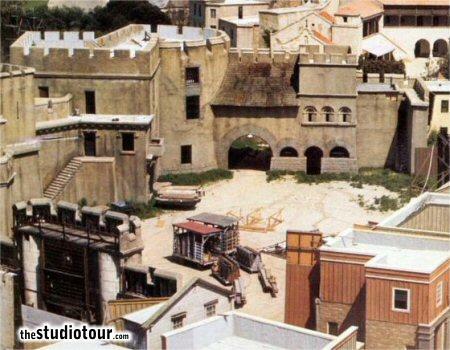 Tower of London castle set, Little Europe sets on the backlot. The Tower of London castle set on the backlot is used for concentration camp scenes.